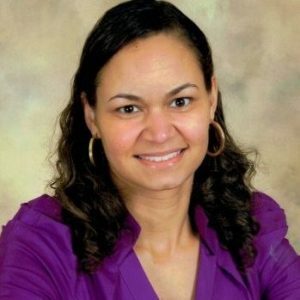 Hi, my name is Lynita Law-Reid and I am the director of KAULC II. I have served in this role since 1999. Prior to directing, I’ve worked in the classroom with children ages 6 weeks to 12 years since I was 14 years old. After High School, I attended Tuskegee University, an HBCU in Tuskegee, Alabama, where I received my B.A. degree. I later received my M.A. degree in Early Childhood/Administration from the University of the District of Columbia. I enjoy working with children because their love is unconditional, and all they really want in life is to be loved, respected, and the opportunity to learn about the world around them. Since studies have proven that success or failure in adulthood is a result of child’s first 5 years of life, I am going to ensure that I AM A POSITIVE INFLUENCE IN THE LIFE OF EVERY CHILD WITH WHOM I WORK. The notion of “FAMILY” is very important to me so I spend a lot of quality time with my children, husband, and immediate family. I like to go places we have never been before, because I want my children to understand that there is this great, big world that God has created for all of us to appreciate and enjoy. 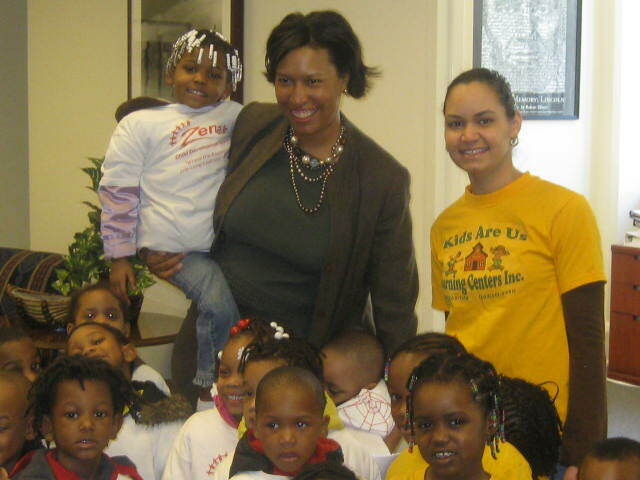 Our director, Lynita Law-Reid with Washington, D.C.’s mayor, Muriel Bowser. 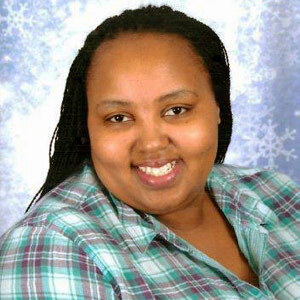 Ms. Natasha Wiggins is our Office Manager and also the engine that administratively runs this machine called Kids Are Us Learning Center! As Office Manager, she handles the day-to-day duties of making sure the administrative items run smoothly for both locations. But, also as Office Manager she will most likely be the first person you come in contact with as she is our Intake and Eligibility Coordinator for both the Subsidized Child Care Program and the USDA Child and Adult Food Program.